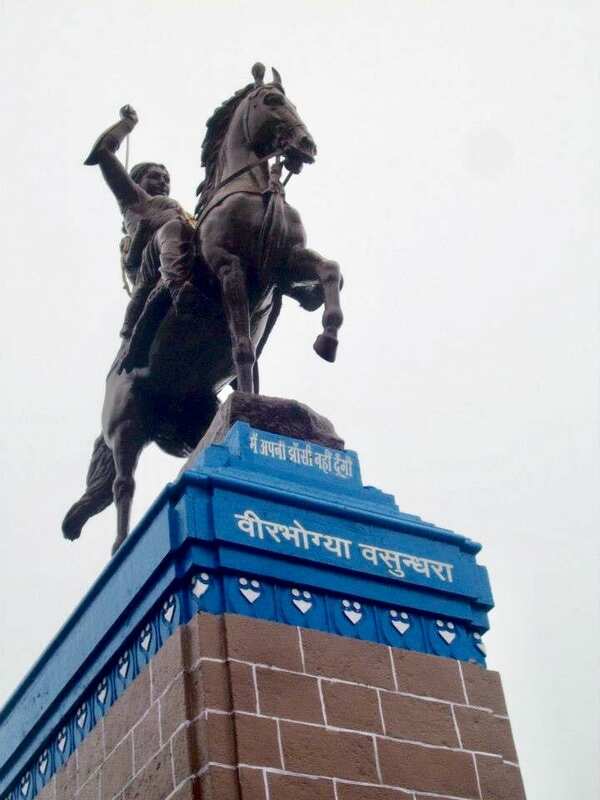 Home » Art » Celebrities » Charities » children » Cinema » Comments » Countries » History » Popular Articles » tours » Travel » Mumbai Memoir 102- Inspirations from the Indian Warrior Queen- Lakshmibai of Jhansi! Last month I went to watch a movie named ‘Manikarnika’. I had been waiting for this movie since long. It’s a biopic based on the life of ‘Maharani Lakshmibai-The Queen of Jhansi’. The film is a sincere effort to depict the life of the 19th century Indian Queen and how she defended her kingdom till her last breath. In an era, when affairs related to politics and war were totally dominated by men, there was a women who rose to the occasion to fight against the unjust ‘Doctrine of Lapse’ policy which the British East India Company had enforced on all the Indian princely states, which did not have a legal heir who would continue the legacy of ruling their respective kingdoms. The statue of ‘The Queen of Jhansi’ centrally located in a garden in Jhansi. The Queen hailed from a humble background. On 19th November 1828, a baby girl was born in a Marathi Karhade Brahmin family to Moropant & Bhagirathi Tambe at Varanasi (Benaras/Kaashi). The couple named their daughter as ‘Manikarnika’. Lovingly called as ‘Manu’ or ‘Chhabili’, she was raised in Bithoor by her father and her uncle Nanasaheb, who was a Peshwa (an Executive Ruler) of the Maratha kingdom. Her childhood was spent among her male cousins mastering the skills of horsemanship, sword fight, shooting & other physically straining activities. When Manu came of age, she was married to King Gangadhar Pant Nawalkar of Jhansi (presently in Uttar Pradesh, India). 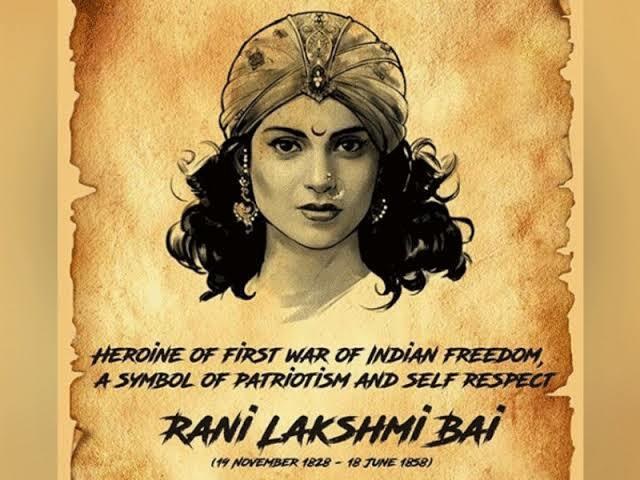 Manikarnika was formally named ‘Queen Lakshmi Bai of Jhansi’. The royal couple were soon blessed with a baby boy, who they named Damodar, but unfortunately within 4 months the baby died. Soon they adopted a baby boy (Anand Rao) and named him Damodar. Due to weak health the King could not live for long and thereby the adopted Prince Damodar was declared as the heir to the throne, who would take charge, once he came of age. The Queen decided not to sacrifice herself by practicing Sati (the horrific ritual of those days where widows had to accompany the funeral pyre of their dead husband and burn themselves ‘live’ to attain salvation!) nor did she take Sanyaas (living a penance-oriented live forever) in a temple. Rather she stood by the side of the child-prince and thereby decided to rule her kingdom Jhansi, till the Prince becomes intellectually and physically strong to manage on his own. Soon, as per the ‘Doctrine of Lapse’ policy, the British East India Company asked the Queen to dissolve the kingdom into the British Empire particularly because Prince Damodar was not her biological son. On hearing this, the Queen proclaimed ‘I will never give my Jhansi away!’ Then a series of war between the British and Jhansi army were fought, followed by the 1857 first war of Independence, where the Queen joined hands with the Indian rebels & revolutionaries to uproot the British forces from India, once and for all. But deceit and betrayal from the Queen’s own kingdom, helped the British forces to take advantage and finally win over Jhansi. As per legend, the Queen fought with divine energy to defend her kingdom. 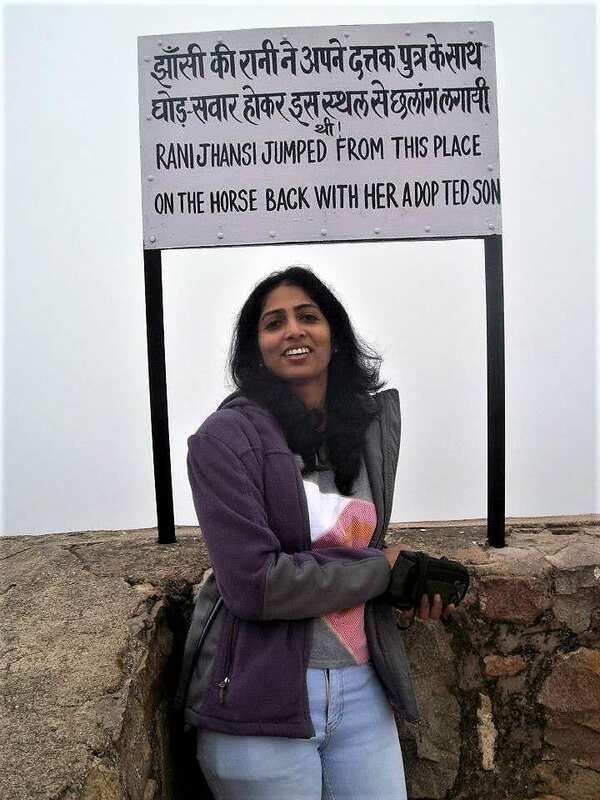 When she was cornered by the British forces, strapping her adopted infant son on her back, she mounted a horse named Badal and cleverly escaped from the Jhansi fort. The British forces chased her and more war followed in the following days, but she refused to give up until she bled and finally got burnt in the cannon fire that set the war field ablaze. 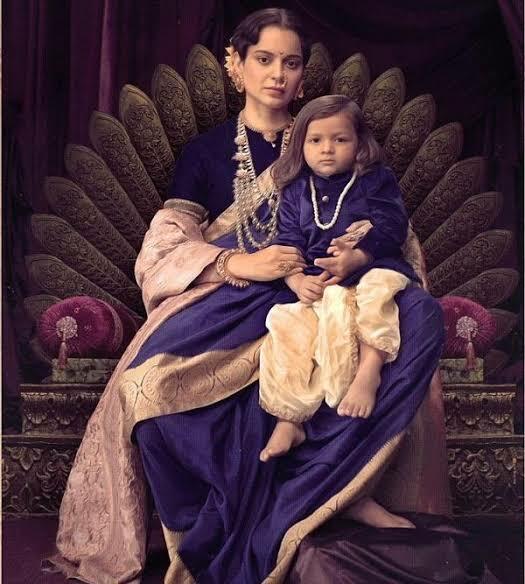 The movie ‘Manikarnika’ has beautifully presented the life transition of a gentle, witty Manikarnika transforming into a mighty warrior in the form of Queen Lakshmi Bai of Jhansi. Though lengthy at times, the war scenes are effortfully done with good VFX technology used for special effects. KanganaRanawat playing Manikarnika has given justice to the actual Queen Lakshmi Bai. Inspite of suffering injuries during the shooting, Kangana actually tookrigorous lessons of horse-riding, swordsmanship and in executing the action stunts that were shown in the film. Here’s the trailer of the film: https://youtu.be/tKmkMVaNu9g Few dialogues of the film gave me goosebumps as they highlighted themes of ‘woman empowerment’ ‘self-respect’ and ‘patriotism’. After watching the film, as I walked home, my memory transported me to December of 2012, when I got an opportunity to visit Jhansi. 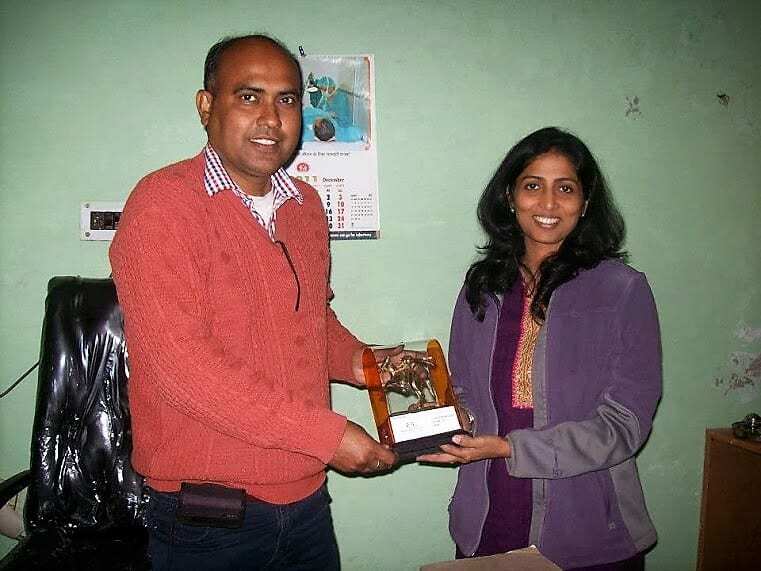 I was appointed by a U.S (Ohio) based NGO named ‘Sankalp India’ to visit an NGO in Jhansi, which they had funded. 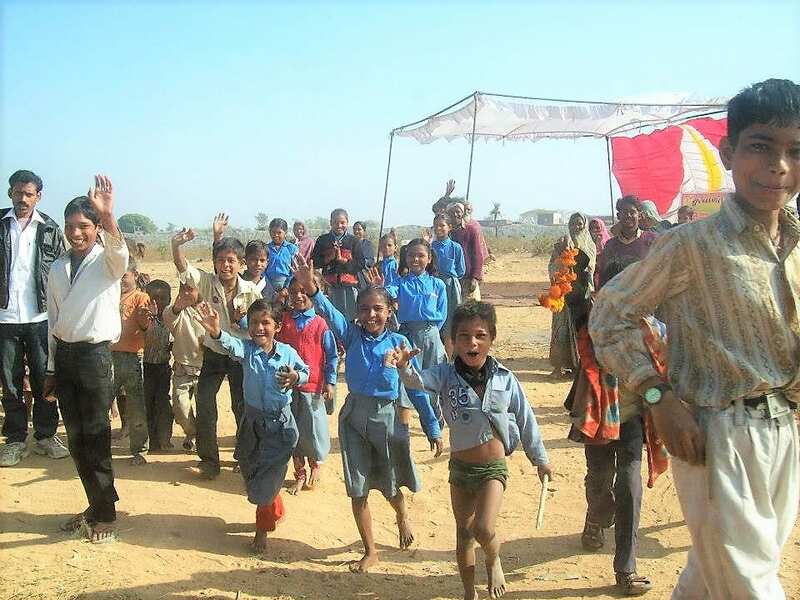 I had to survey the work of the NGO in Jhansi named Pragati Path, and evaluate their work of conducting schools for under-privilege kids living in slums and railway platforms. I was excited to visit Jhansi for 2 reasons. 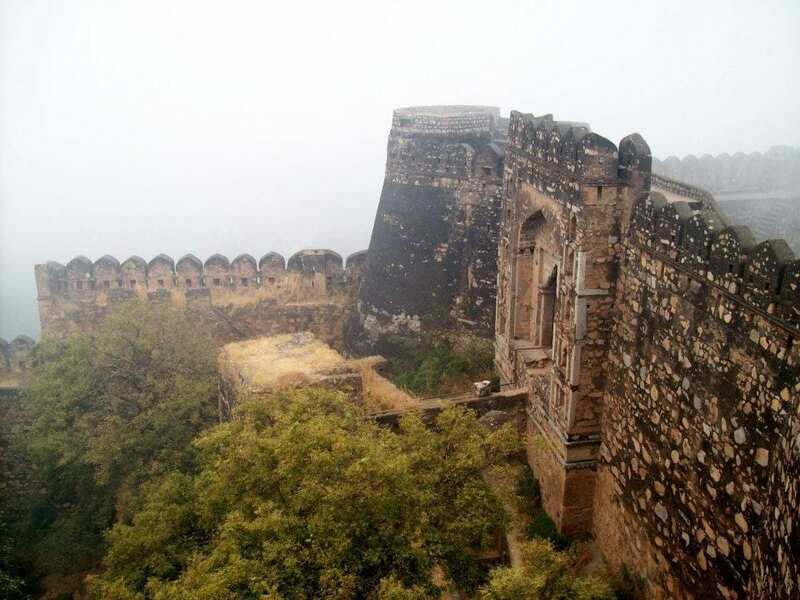 One, being able to represent the NGO-Sankalp India and thereby serve and second was to pay my tribute to ‘The Queen of Jhansi’ by visiting the Fort of Jhansi and soaking in the Queen’s spirit and feel inspired. But to my disappointment, the day I had to fly to Jhansi (Via Gwalior) the plane kept delaying due to extreme fog and bad weather. From Gwalior a 3-hour car drive to Jhansi was all set by the Pragati Path officials. The plane was scheduled at 1pm and finally the Mumbai airport authorities announced that the plane to Gwalior finally hadbeen cancelled for the day at 4:30pm! I was in a state of mild shock, because that meant I could not be able to attend the survey which was on the following day! I just couldn’t digest the fact that my Jhansi trip would have to be cancelled. As I stood dejected in the ticket fare reimbursement line, I just didn’t want to give up on my Jhansi trip. I telephonically informed the Jhansi NGO officials about my predicament and they too felt it was practically impossible for me to reach Jhansi by next day morn and cancelling my trip was the only solution. Hanging up the phone, I wished there was another way to somehow make it to Jhansi by next day morn. Just then I overheard a military officer suggesting another gentleman about how he can alternatively travel to his destination. I requested the military officer to guide me if there was any other way to travel to Jhansi. He suggested me to fly to Delhi or Bhopal and from there travel by railway or road to reach Jhansi. I then wondered if I had any further confirmation of the road/railway travel beyond Delhi or Bhopal? Before I reached the counter of the reimbursement line I had to make my decision to take the refund or buy a ticket to Delhi or Bhopal. Both places were relatively unknown to me, as I knew no one there who would further help me to reach Jhansi by next day morn. Just then faintly I remembered one of my ex-students (Mr. Aaruni Singh) who lived in Bhopal and I had his phone number. So I immediately called him, but unfortunately the number was no more existing so could not get in touch with him. As I reached the counter I went with my instincts and bought a ticket to Bhopal and hoped that I somehow would get in touch with Aaruni from Bhopal. I literally was ‘fighting a war’ with nature to anyhow reach Jhansi and do my duties! 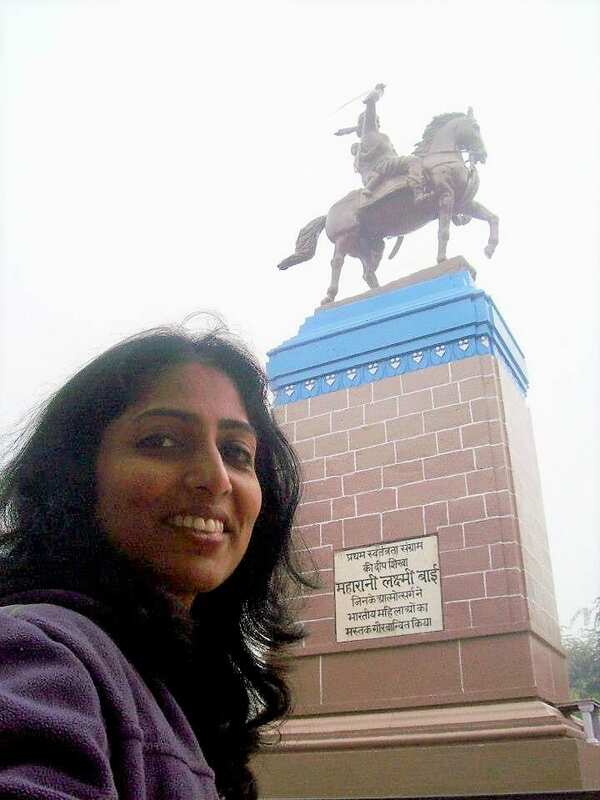 I could already feel the spirit of the ‘Queen of Jhansi’ come in me to defend my dream to reach Jhansi for good. As I sat at the boarding gate of my Bhopal bound flight, I thought of sending a Facebook message to Aaruni. Though I was not sure if he would read the message immediately & thereby respond to my need to travel further to Jhansi from Bhopal, I still sent the message positively hoping for situations to soon be in my favour. Within 15 minutes my phone rang. The call was from an unknown number. I picked it up and to my surprise it was indeed Aaruni from Bhopal! He had seen my message on Facebook when he had come online few minutes back to wish his sister on her birthday! What a stroke of luck I thought! But I believe, luck favours those who leave no stone unturned to make it happen! Aaruni understood my situation and promised me to get back. After 15minutes, just before I boarded the plane to Bhopal I received a message from Indian railways of ‘Confirmation of a railway ticket from Bhopal to Jhansi’ at11:30pm that night!! WOW! It was Aaruni who had booked that ticket from Bhopal! The plane finally took off at 6pm and I reached Bhopal around 7:30pm. Aaruni had come to receive me at the airport and till 11pm I had good time having dinner and chatting with his family. As we headed to the Bhopal train station, we got to know that the trains too had delayed due to bad weather. We anyways sat in the waiting room of the train station in skin cracking winter of 25th December 2012 midnight. The train delayed still further……1:30am, 2:30am and beyond. Though Aaruni was insisting, I refused to go back to Aaruni’s home as I didn’t want to miss the train and anyhow wanted to reach Jhansi. Aaruni was kind enough to give me company at the waiting room till finally the train arrived at 5:30am! I bid Aaruni good bye and soon the train raced towards Jhansi. I felt like I was speedily galloping on a horse to catch up before the survey started in Jhansi at 11am! 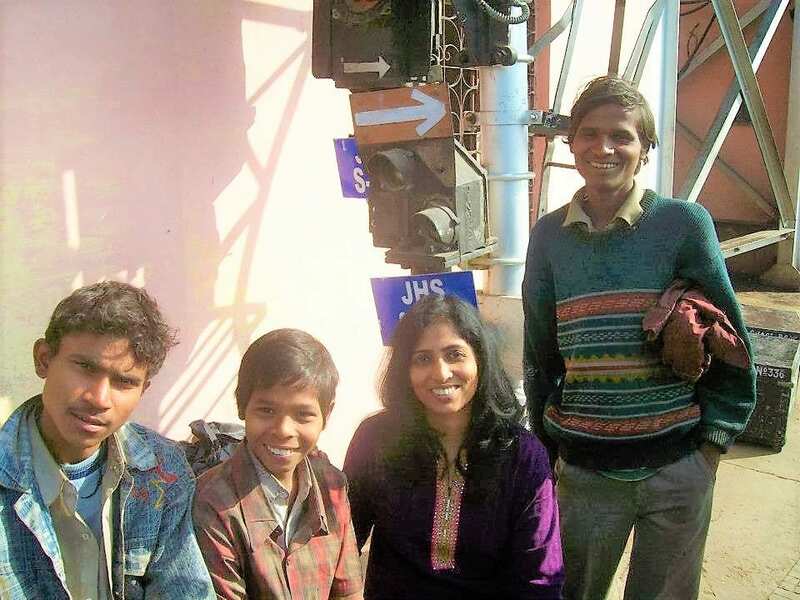 Finally, at 10am on Christmas Day I alighted the train at the Jhansi station, JUST IN TIME!! The NGO officers were surprised to see me at their doorstep, as they thought I would not make it by morn. The whole day was dutifully spent visiting the sites of the school. 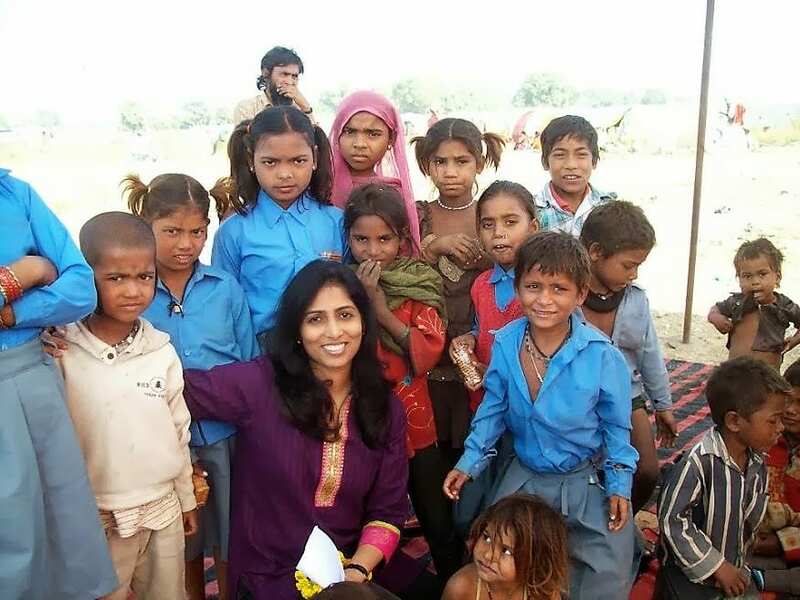 I was feeling blessed to have reached Jhansi otherwise I would have missed the opportunity to connect with the under-privilege kids and help them in my own small way. The joy that I experienced of making the impossible possible was truly euphoric. I felt that the spirit of the Queen of Jhansi truly inspired me to make it happen. Just like the Queen had a dream of defending her kingdom (Jhansi), I believe everyone has a dream, and that dream has to be treated like one’s ‘kingdom’ and above all, defend the kingdom till the best of one’s ability, just like Queen Lakshmibai did! Kids running behind our car bidding us good bye.